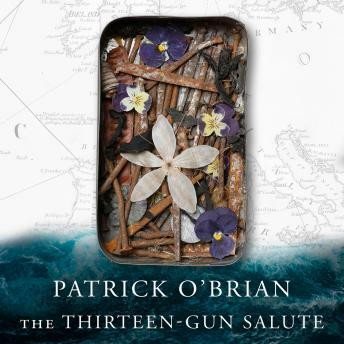 Patrick O'Brian's Aubrey-Maturin tales are widely hailed as the greatest series of historical novels ever written. Reinstated to the Navy List, Jack Aubrey engages on a secret mission with a hand-picked crew in this continuation of the Aubrey-Maturin series. For all Jack Aubrey's life he has triumphed, often sensationally, over the dangers of the sea and the violence of the enemy. But his rashness, his guilelessness, his indiscretion have time and time again enabled his rivals to prevent him reaping his just rewards. The nadir was reached in The Reverse of the Medal when, the victim of a skilful frame-up, he was convicted of fraud and struck off the Navy list just as he was coming within sight of flag rank. The subsequent exposure of the conspiracy, coupled with his brilliant success in command of a privateer, had brought him to a position where Their Lordships were more or less bound to reinstate him. This, as the present book opens, they have done, and he and his old friend Dr Maturin are sailing on a secret mission with a hand-picked crew, most of them shipmates from the adventures and lucrative voyages of earlier years.